Jean-Claude Biver, President of the Watches Division and President of the Board of Directors of Zenith, announces the appointment of Julien Tornare as CEO of Zenith, effective May 1st, 2017. Julien Tornare will report to Jean-Claude Biver. In this role, Julien will be focusing on the renewal of Zenith, developing its markets and activating its marketing initiatives. “Julien’s strong international and commercial experience in Watches will be crucial to the development of Zenith, which is enjoying renewed success since Baselworld and the launch of Defy El Primero 21” Jean-Claude Biver commented. Julien is an Economics graduate from the University of Geneva. In 2000, he joined the Vacheron Constantin watch brand, initially as head of the Swiss market and later as President of the North American market. 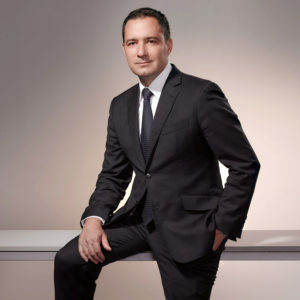 Julien Tornare directed Vacheron Constantin international sales from 2009 to 2011, and subsequently helped develop the Asia-Pacific region as Managing Director until April 2017.